They say great minds think alike and it would seem it is true when it comes to justdubrovnik.com and the Travel Channel! One of our most popular pages is our gastronomy page where we regularly add traditional recipes for people to recreate at home bringing back memories of their time in Dubrovnik and Croatia. 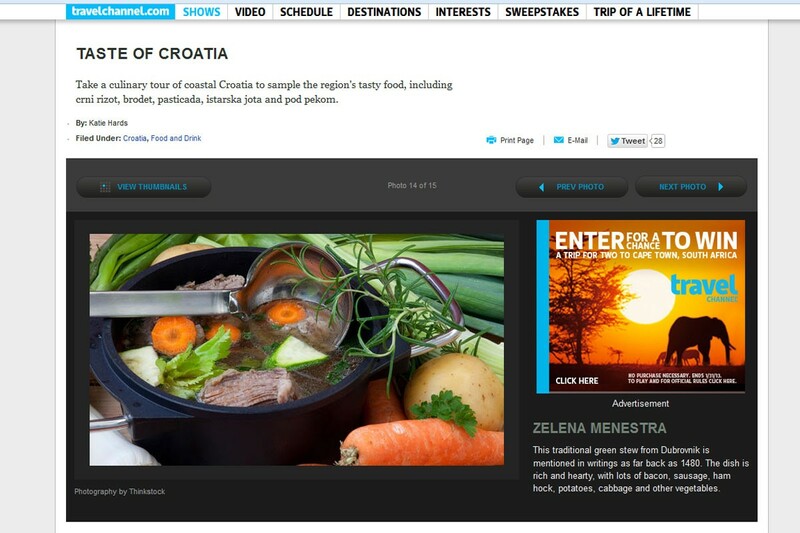 The Travel Channel having recently a new series, ‘Trip of a Lifetime’ in Dubrovnik, has added a Taste Croatia series to its site recommending traditional recipes such as green menestra and skampi buzara. Trip of a Lifetime is set to air on January 27th. Take a sneak peek here.